Disclosure: ChalkOla sent me these products free of charge. All opinions in my review are my own and I did not receive any other compensation. As always I am providing links to the book for your convenience. I am sure by now you have noticed the chalkboard craze going on. Everywhere I look I see chalkboard products on sale. 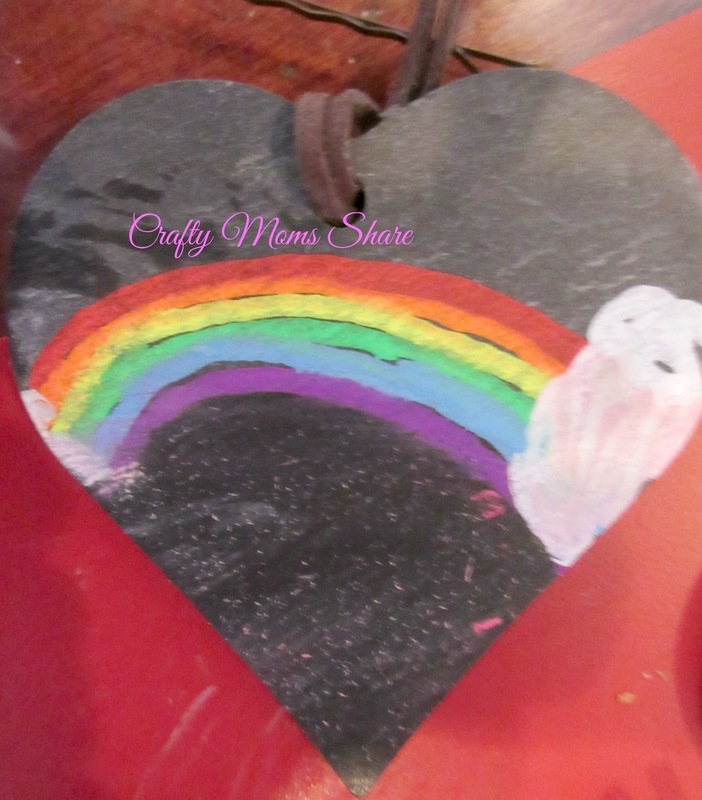 Whether it is chalkboard paint, chalkboard stickers or actual chalkboards they are everywhere. As a former teacher who hated chalkboards, I just didn't get it. 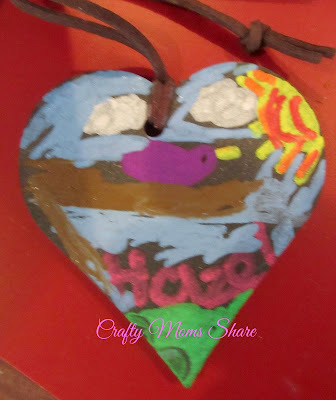 When I taught with a chalk board (which wasn't most of the years I taught thankfully), my hands were so dry and messy. I hated it. I already have issues with dry skin and did not need chalk making it worse. 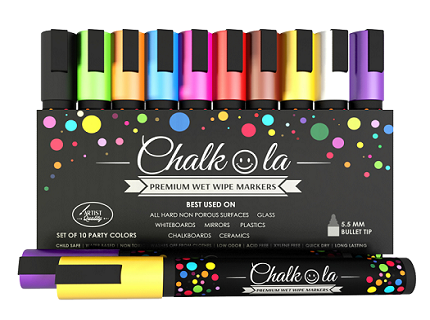 Thankfully the invention of chalk markers has happened. My first exposure to them was at work. They are used to make signs as well as to label boxes. One of the best things about them are they require a wet cloth to clean them so the chalk does not just rub off (once it is dry). Plus the colors are great! 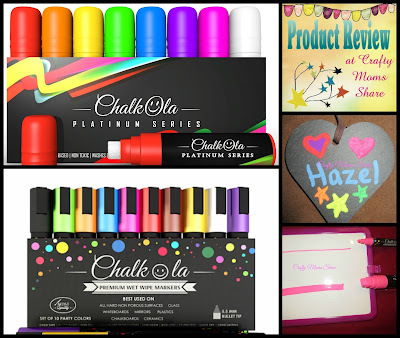 they sent me a set of their new Platinum Chalk Markers and are offering you 20% off a purchase of them through Amazon with the code CHK20OFF. First I want to say that chalk markers have a high density ink and have to be prepped for two to three minutes (just like paint markers) and they work on non-porous surfaces only so it is a good idea to check a small area first. 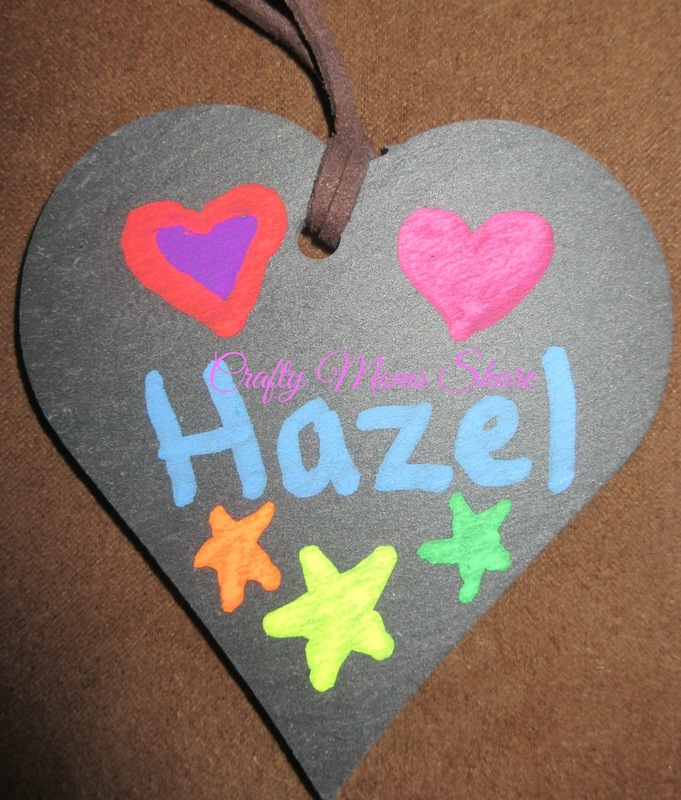 After preparing the premium ones I wanted to try them out before Hazel got to school. 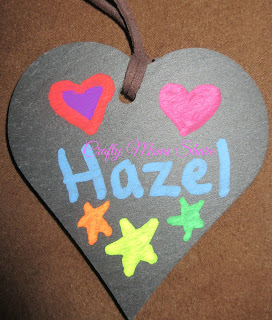 I took out the slate heart wine class markers I bought (I am thinking they would make good blackboard signs for her doll's bakery) and began to play. 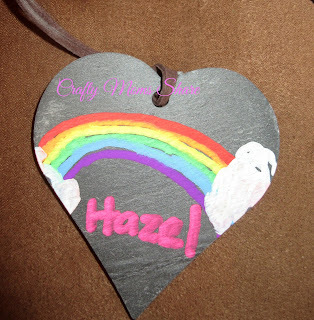 I left both slates out for Hazel but washed off the doodles before so she could play. While she drew I washed off her name on the rainbow to see how it washed off after it sat for awhile. It washed off perfectly with a wet paper towel. Then Hazel finished her first picture. She wanted to use every color. While she was working I also tried it on a jar we had nearby holding our gel pens. She of course wanted to try it on glass as well. 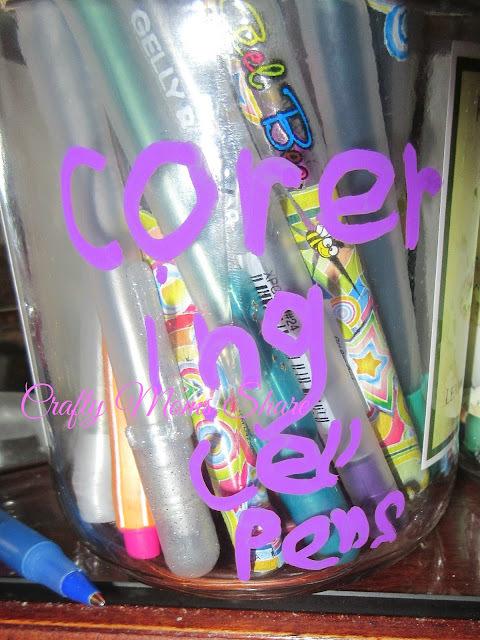 I also wrote on a plastic cup but did not take a picture (you know one of those big red cups). This got me to thinking about how you could label glasses or bottles at a party or just around the house and have it wash off when the glass was washed. We could also decorate the windows for our next party and have it all come right off. 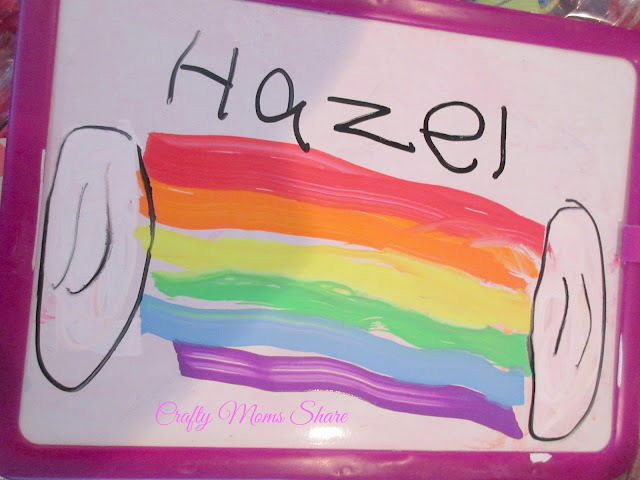 Next we pulled out Hazel's cheap white board. I got a bunch at the Dollar Tree a few years ago. We tried out the Platinum ones on the white board. 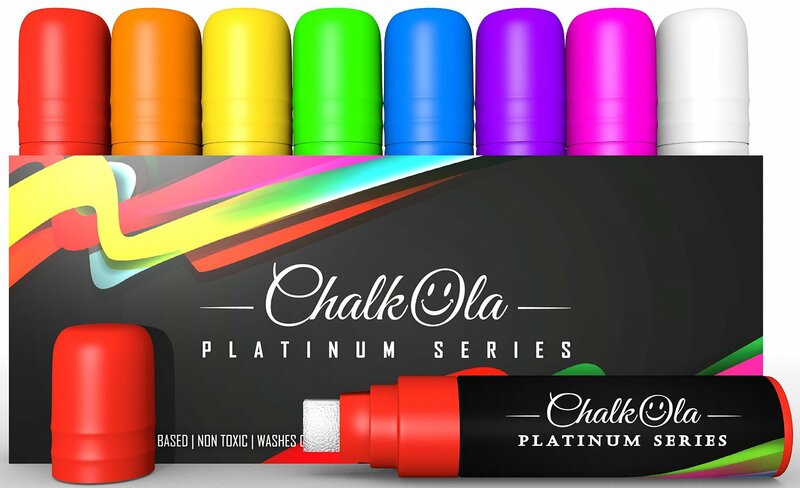 There are only eight chalk markers in the Platinum set, but their tips are 15mm. Hazel used the Premium black since it was one of the colors not in the Platinum set. Then we washed it off the next day and she drew a new picture. Now you may be asking what the differences between the Platinum and Premium are. The Platinum chalkboard markers have tips that are 15mm and the Premium markers have tips that are 6mm. Here is a picture to show you the difference. Now I was thinking about where you might use a Platinum marker and I thought of last week at work. The assistant manager was changing the chalkboard sign that we have outside the store. She needed to make a big 30% and the sign was taking her way too long because the chalk markers she was using kept running out when she was coloring in her big numbers. The Platinum would have been perfect for the sign. I am thinking of sneaking the large white marker in to work so it will be easier next time. 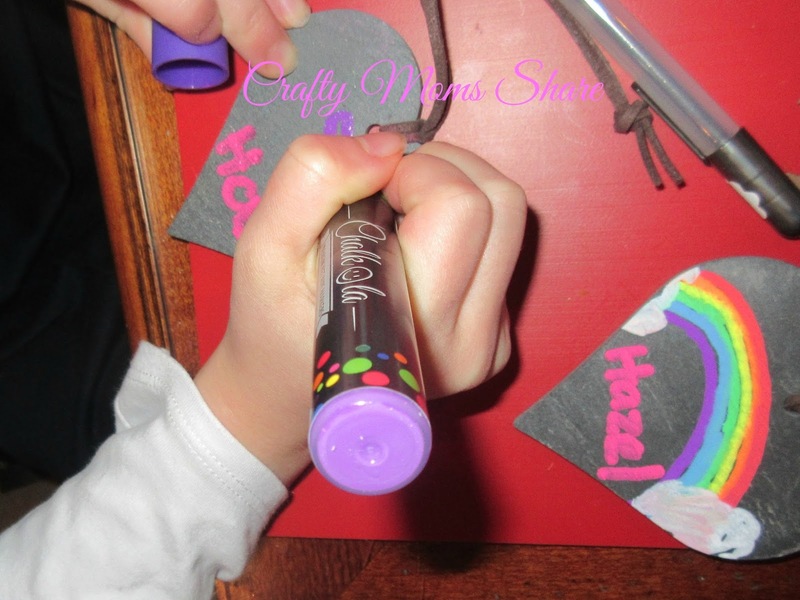 So these chalkboard markers are great for kids, parents, teachers, crafters, and businesses. 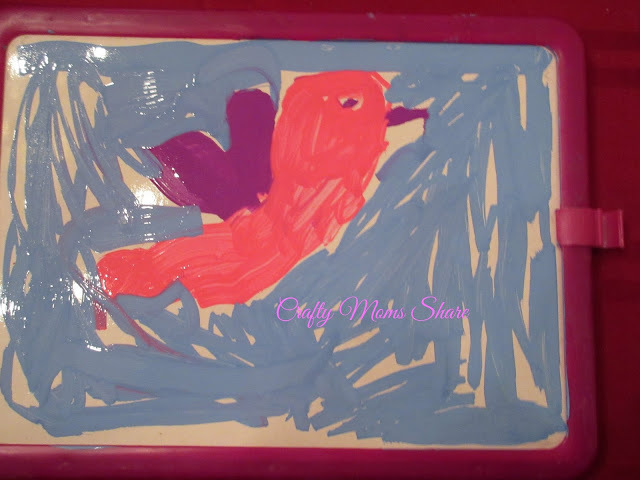 You can draw on windows, glass, plastic, white boards, chalkboards and any non-porous surface and wash it off with a wet paper towel. Be sure to check your surface first though. 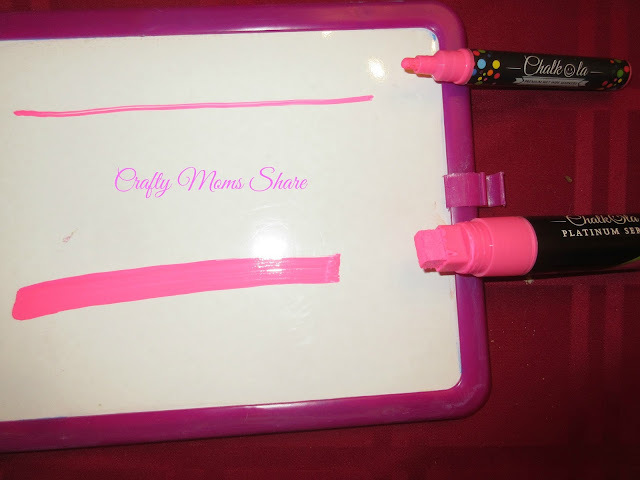 ChalkOla's markers come in great neon colors that make any sign, picture, etc. fun and colorful. I hope you will check them out and join the blackboard craze!! I know we are having fun with ours! !